HomeScamsSuperTime.Online Review: SuperTime Online Scam Alert! Yes, without a doubt SuperTime.Online is a scam. Now maybe you want to find out why is SuperTime.Online a scam, what makes Supertime Online a scam, what is SuperTime.Online in real, right? Well, you are definitely gonna find the answers to these queries here, within our SuperTime Online review. So, your search for SuperTime.Online reviews to find out its reality ends here. OK, let’s begin with our Super Time Online review. 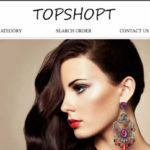 # SuperTime Online is using the same address (2.27 Romer House Lewisham High Street, London, England, SE136EE) which lots of scam sites are using such as TopShopt, Stylewe, ZZPlus, HBuys, Hexpress, MartxPlus, OnSales.Sale, PopJulia and so on. The contact phone number of SuperTime Online (852-66282369) also has been using by lots of scam sites such as Funny-Mall, Joymeet, Quick-Mall, and so on. However, legit websites always provide the separate phone number and address, not the one which has been used by lots of suspicious sites. # Legit sites will mention on their website if they are linked with other sites. However, SuperTime Online hasn’t provided any information about its link with other sites whose phone number and address it has been using. So, it is clear that SuperTime has been operating and running by the same person who doesn’t want to reveal the list of multiple sites he/she owns which obviously rings the big warning bell. 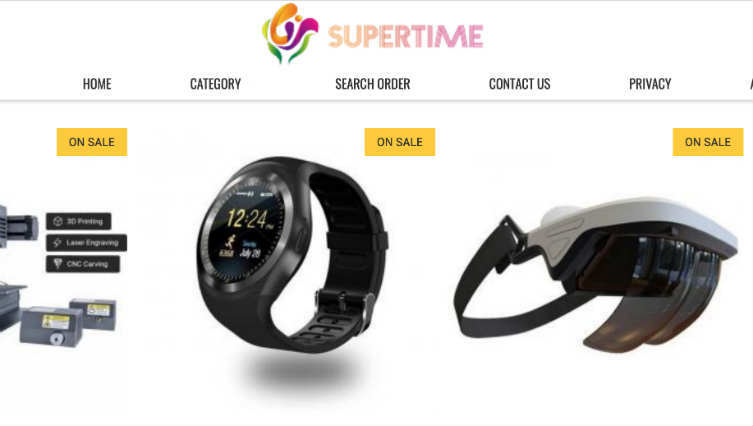 # The phone number (852-66282369) is from Hong Kong which is using by multiple new online stores including SuperTime, but SuperTime has mentioned it is from London (2.27 Romer House Lewisham High Street, London, England, SE136EE) within its “Contact Us” page. So, why any company from London will use the phone number which is from Hong Kong? Not only that, in WHOIS details you can find out the website location is from the United States. So, this mismatch address details proves that SuperTime is not providing the real company’s address which obviously not a good sign. # The lots of details in WHOIS of SuperTime Online match with lots of scam sites. # CPJUS is a proven scam site whose contact email address was “support@cpjus.com”. SuperTime has been using the same email address which proves it is operating by the same cybercriminal who had already scammed lots of people from the scam site known as CPJUS. Now you must be clear why is Super Time Online a scam through our SuperTimeOnline review as above. However, if you still want to add your own SuperTime Online reviews or want to say something about it, then please feel free to leave your comment below. If you want to share this SuperTimeOnline review with your friends and families through your social media accounts to make them aware of this Super Time Online scam, then please feel free to do so. 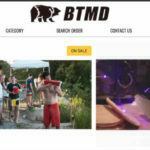 What is Laser.Online? 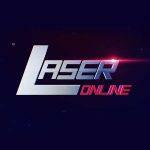 Is Laser.Online a Scam? I purchased a 2in on tablet on this site and I paid 75.44 for it. The payment page crashed but they still got my money. I wrote 3 emails to Supertime to the email mentioned and never received a reply. Finally today a received a cheap pair of sunglasses. So yes, this site is as fraudulent as you can get. So let the buyer beware; if it sounds like a super good deal it is probably a scam. In this case, we advise you to contact your bank or credit card company and ask them to help you to cancel your credit card and get the new one because these cybercriminals can charge your credit card randomly anytime without your consent in the future as well. What can we do when caught by these criminals ? 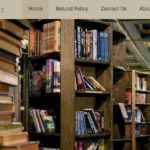 If you haven’t purchased anything from these scam sites, then you no need to be worried. However, if you have purchased something or have provided your credit card information to these kinds of scams, then we suggest you immediately contact your bank or credit card company and ask them to help you to cancel your credit card and get the new one because these kinds of cybercriminals can charge your credit card randomly anytime without your consent.